Artisan Concrete and Stamping, LLC specializes in all types of concrete work. We start with a properly compacted sub-grade and our form work is set with proper pitch to ensure correct water drainage. Wire mesh, fiber mesh or rebar reinforement is used in all of our concrete projects. Our work includes regular concrete as well as stamped concrete. 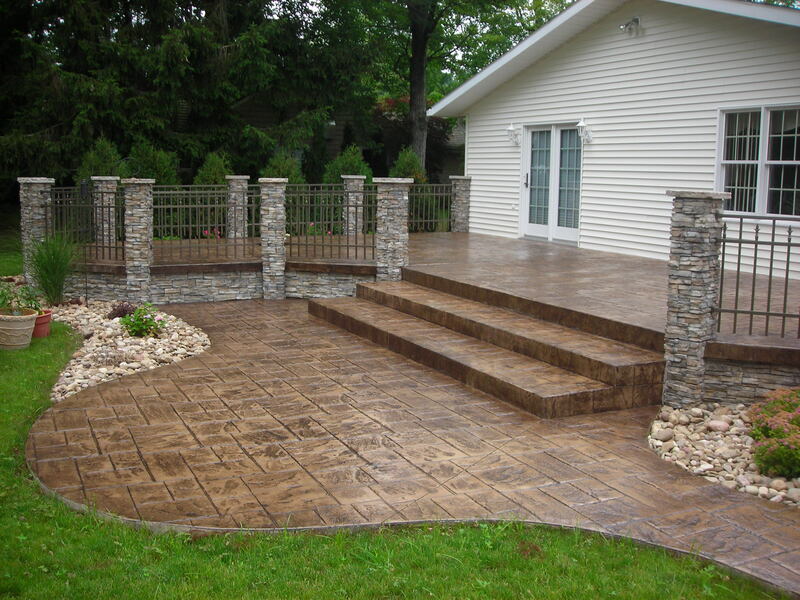 Stamped concrete is designed with a variety of different patterns and colors to choose from. Please view our Gallery and we look forward to helping you with your next concrete project.